A headband is a clothing accessory worn in the hair or around the forehead, usually to hold hair away from the face or eyes. Headbands generally consist of a loop of elastic material or a horseshoe-shaped piece of flexible plastic or metal. They come in assorted shapes and sizes and are used for both fashion and practical or utilitarian purposes. Juliana was Queen of the Netherlands from 1948 until her abdication in 1980. A wreath is an assortment of flowers, leaves, fruits, twigs, or various materials that is constructed to form a ring. Hera is the goddess of women, marriage, family, and childbirth in ancient Greek religion and myth, one of the Twelve Olympians and the sister-wife of Zeus. She is the daughter of the Titans Cronus and Rhea. Hera rules over Mount Olympus as queen of the gods. A matronly figure, Hera served as both the patron and protector of married women, presiding over weddings and blessing marital unions. One of Hera's defining characteristics is her jealous and vengeful nature against Zeus' numerous lovers and illegitimate offspring, as well as the mortals who cross her. 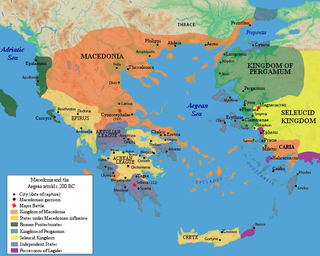 Foederati were foreign states, client kingdoms, or barbarian tribes to which ancient Rome provided benefits in exchange for military assistance. The term was also used, especially under the Roman Empire for groups of "barbarian" mercenaries of various sizes, who were typically allowed to settle within the Roman Empire. Thyateira was the name of an ancient Greek city in Asia Minor, now the modern Turkish city of Akhisar. The name is probably Lydian. It lies in the far west of Turkey, south of Istanbul and almost due east of Athens. It is about 50 miles (80 km) from the Aegean Sea. The mitre or miter, is a type of headgear now known as the traditional, ceremonial head-dress of bishops and certain abbots in traditional Christianity. Mitres are worn in the Orthodox Church, Roman Catholic Church, as well as in the Anglican Communion, some Lutheran churches, and also bishops and certain other clergy in the Eastern Catholic Churches and the Oriental Orthodox Churches. The Metropolitan of the Malankara Mar Thoma Syrian Church also wears a mitre during important ceremonies such as the Episcopal Consecration. The chlamys was a type of an ancient Greek cloak. By the time of the Byzantine Empire it was, although in a much larger form, part of the state costume of the emperor and high officials. It survived as such until at least the 12th century AD. The origins of the Papal Tiara remain somewhat nebulous and clouded in mystery. 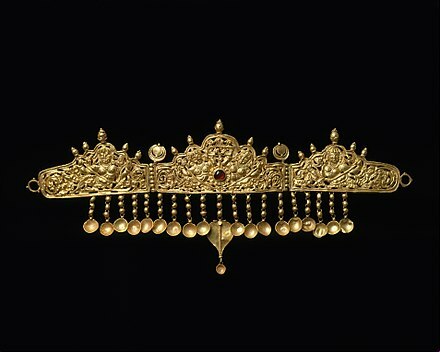 The word tiara itself occurs in the classical annals to denote a Persian headdress, particularly that of the "great king." A camelaucum which was similar in shape to papal tiaras, was part of court dress in Byzantium. 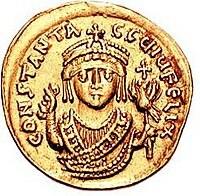 Given that other rituals associated with the Papal Coronation, notably the use of the sedia gestatoria, were copied from Byzantine and eastern imperial ceremonial, it is likely that the tiara is also of Byzantine origin. 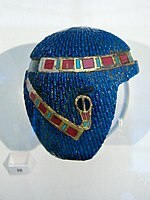 The Pschent was the double crown worn by rulers in ancient Egypt. The ancient Egyptians generally referred to it as sekhemty(sḫm.ty), the Two Powerful Ones. 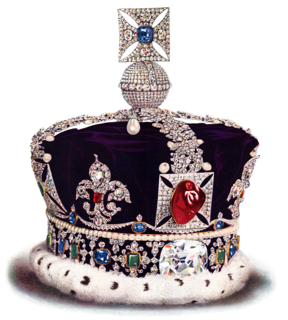 It combined the Red Deshret Crown of Lower Egypt and the White Hedjet Crown of Upper Egypt. Marmara Island is a Turkish island in the Sea of Marmara. With an area of 117.8 km2 (45.5 sq mi) it is the largest island in the Sea of Marmara and is the second largest island of Turkey after Gökçeada. It is the center of Marmara district in Balıkesir Province. Transportation is possible from Istanbul by ship and ferry, and by motorboat from Tekirdağ and Erdek. Famed for their wine and fish, Marmara and Avsa offer wonderful shorelines. Marmara island is full of historical treasures which increase its attractiveness. The town of "Mermer Plaj" / Marble Beach takes its name from the marbles for which the town is famous and which give the island and the sea their name. 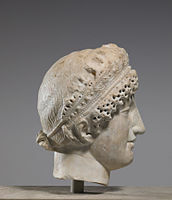 In ancient Greek costume, a tainia was a headband, ribbon, or fillet. The preservation of fabric fibers and leathers allows for insights into the attire of ancient societies. 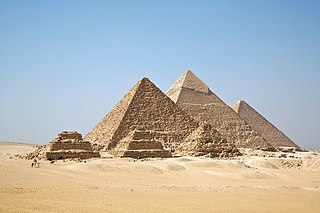 The clothing used in the ancient world reflects the technologies that these peoples mastered. In many cultures, clothing indicated the social status of various members of society. A bandeau is a garment comprising, in appearance, a strip of cloth. Today, the term most frequently refers to a garment that wraps around a woman's breasts. It is usually part of a bikini in sports or swimwear, but is now also accepted as the top part of formal wear when worn with pants or a skirt. It is similar to a tube top, but narrower. It is usually strapless, sleeveless, and off the shoulder. Bandeaus are commonly made from elastic material to stop it from slipping down, or is tied or pinned at the back or front. 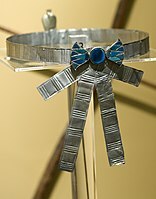 In the first half of the 20th century, a "bandeau" was a narrow band worn by women to bind the hair, or as part of a head-dress. The pileus was a brimless, felt cap worn in Illyria and surrounding regions, later also introduced in Ancient Rome. 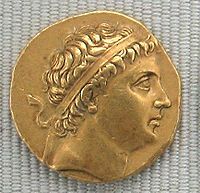 The Greek πιλίδιον (pilidion) and Latin pilleolus were smaller versions, similar to a skullcap. 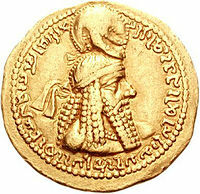 Historical ceremonies of introducing a new monarch by a ceremony of coronation can be traced to classical antiquity, and further to the Ancient Near East. The clothing of the people in Biblical times was made from wool, linen, animal skins, and perhaps silk. Most events in the Old and New Testament take place in ancient Israel, and thus most Biblical clothing is ancient Hebrew clothing. They wore underwear and cloth skirts. A radiant or radiate crown, also known as a solar crown, sun crown, or tyrant's crown, is a crown, wreath, diadem, or other headgear symbolizing the sun or more generally powers associated with the sun. It typically takes the form of either a horned disc to represent the sun, or a curved band of points to represent rays. ↑ William Dwight Whitney, The Century dictionary; an encyclopedic lexicon of the English language. New York: The Century co. (1889), page 3,772. Google Book Search. Wikimedia Commons has media related to Diadems .